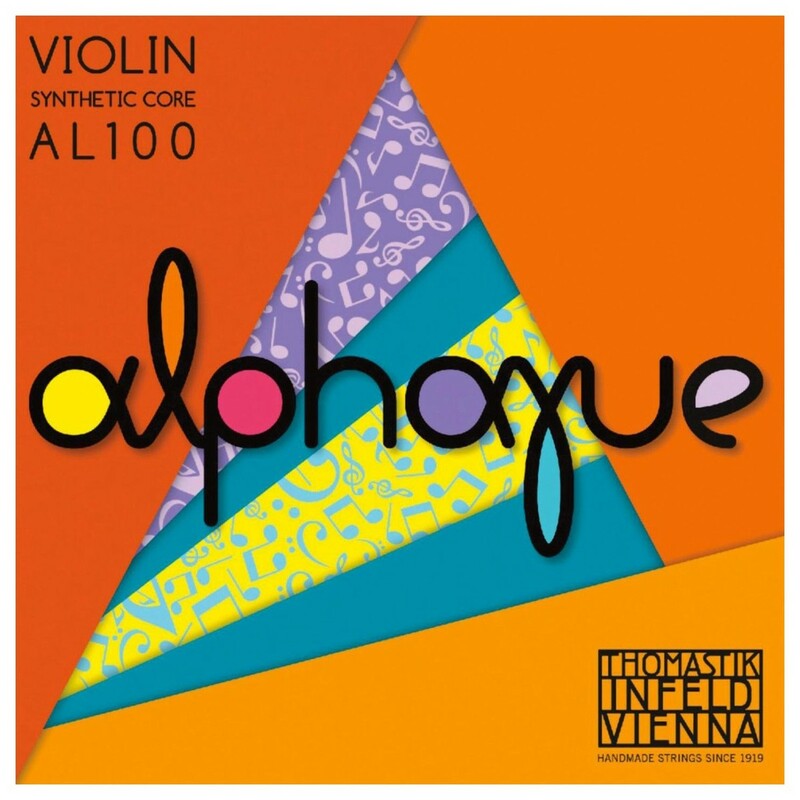 The Thomastik Alphayue 4/4 Violin String Set offers an alternative to standard solid-steel strings, assuring instant response, supple playability and colorful tone. This string set will make music-making great fun as the strings are capable of improving the sound of even the most basic student instrument. This set includes a combination of steel and synthetic cores and a variety of windings including tin plated, aluminium and silver. Featuring a medium tension gauge which offers optimum versatility, ideal for players who wish to concentrate on their own playing style. These strings all have ball ends which are suitable for musicians who require a reliable sound that maintains its voice over time. Players no longer have to settle for standard solid-steel core strings as this set combines a great price with Thomastik-Infeld trusted quality. Assuring longevity and durability, these strings are capable of achieving instant response, supple playability and colourful tone. The AL100 set will enable players to improve the sound of even the most basic student instrument, so music-making is now much more rewarding.